This recipe only takes a couple minutes to put together and costs less than buying pre-packaged taco seasoning. It also has less salt and no artificial additives or preservatives. I like to know what I feeding my family and a lot of times I can’t even read the ingredients listed on the store bought packages. After you make this, you can store it in an airtight container for up to 6 months. I keep mine in the freezer and it actually lasts longer! 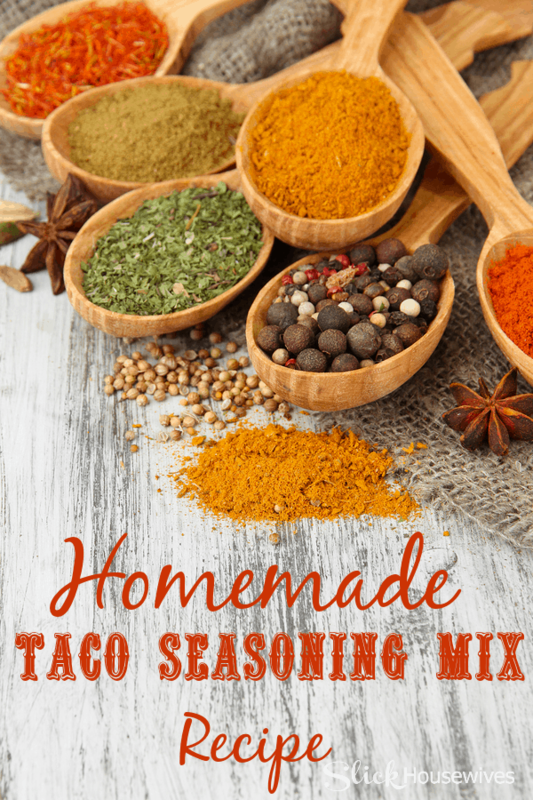 Here is your Homemade Taco Seasoning Mix Recipe that is printable! Combine all ingredients in an airtight container and shake well to combine. Use 2 â?? 3 tablespoons per pound of ground beef (use more or less according to individual taste preferences). This recipe can also be made in larger batches. Store unused amounts in an air tight container for up to 6 months. Make sure to check out our Homemade Balsamic Vinaigrette Salad Dressing Recipe!